Oyster are filter-feeders, eating tiny marine algae rich in Omega-3 fatty acids, zinc and protein turning them into the sweet, crisp delights that have sustained humans on our coasts for tens of thousands of years. 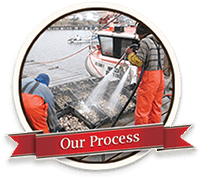 Oysters don’t require artificial feeding, so in the process of farming them we add nothing to the ocean environment. 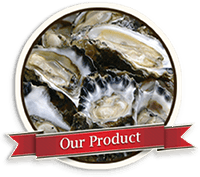 The Saldanha Bay Oyster Company is committed to upholding the principles of sustainable food production with a view to preserving our valuable natural resources. Underpinning our commitment to sustainability, we supervise research by postgraduate students and publish scientific research articles on oyster biology and culture in South Africa. The nature of oyster farming methods, and the care we take not to over-load the oceans that sustain our oysters, together mean that our product is green-listedon the South African Sustainable Seafood Initiative of WWF-SA (World Wide Fund for Nature, South Africa). 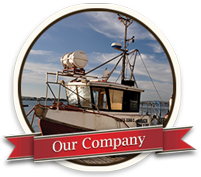 This listing is not lightly given and The Saldanha Bay Oyster Company is proud of this achievement. Beach clean-ups – along with our colleagues in the industry in Saldanha Bay, we initiated and are involved a programme of regular beach patrols to ensure that beaches adjacent to our growing areas are not negatively impacted. We actively contribute to keeping the Class A waters of Saldanha Bay clean enough to grow healthy edible oysters by working with the Saldanha Bay Water Quality Forum Trust, Transnet National Ports Authority Environmental Stakeholders Forum, and the Saldanha Bay Forum.